The company also is expected to disclose timing and possibly a public preview of its next Office for Mac release very soon, as well […] The latest rumored release target for the next Office for Mac is early 2015. Yesterday’s report suggested a flattened look, support for Retina screens and integration with Notification Center. An Italian competition organization has given Apple, Google, Amazon and Gameloft twenty days to submit a defence to its investigation into in-app purchases or face a fine of up to €5M ($6.9M), reports ZDNet. The companies now have 20 days to comply with the requests for information that came with the letter, and to respond with their defences to the allegations. If the alleged violations proved to be true, the three internet giants and the European game developer could each face a fine up to €5m — although the Italian watchdog told ZDNet that the punishment would be proportional to each company’s size. The complaint is based on two concerns. First, whether consumers are clear about the likely total cost of the app at the time they download it. Second, whether sufficient information is provided about how to prevent or limit in-app purchases, especially in games played by children. Apple settled a similar complaint with the FTC in January, after last year offering refunds to parents whose children had made in-app purchases. At that time, Tim Cook pointed to the safeguards in place, which include the ability to disable in-app purchases with a single switch, and requiring a password for any purchases made more than 15 minutes after downloading the app. iOS also now alerts customers that further purchases can be made within 15 minutes without re-entering their iTunes password, and all iTunes apps that offer in-app purchases are labelled as such in the App Store. 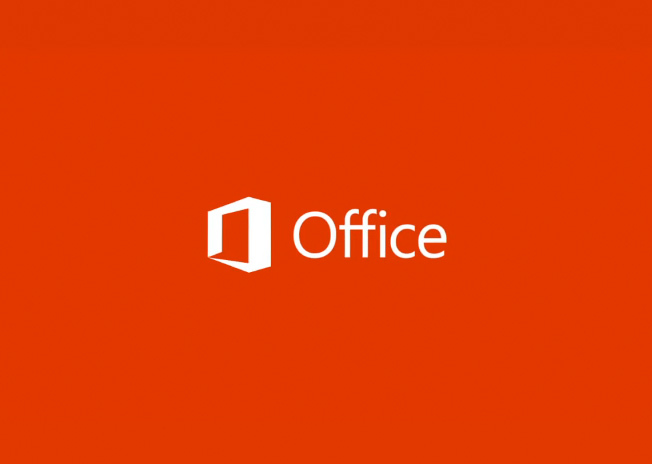 Both The Verge and ZDNet are independently reporting that Microsoft will finally launch Office for iPad at the end of this month on March 27th, according to sources. According to The Verge, the suite will (unsurprisingly) be very similar to the Office app already on the iPhone App Store. …anyone who can read files accessible to group admin can discover the login passwords of any users of legacy (pre LION) Filevault home directories who have logged in since the upgrade to 10.7.3 in early February 2012… This is worse than it seems, since the log in question can also be read by booting the machine into firewire disk mode and reading it by opening the drive as a disk or by booting the new-with-LION recovery partition and using the available superuser shell to mount the main file system partition and read the file. This would allow someone to break into encrypted partitions on machines they did not have any idea of any login passwords for. A Microsoft spokesperson said the screen shot accompanying The Daily’s story is not a picture of a real Microsoft software product. But the spokesperson also said Microsoft is declining to comment as to whether or not the company has developed a version of Office for the iPad and/or when such a product may come to market. Apple’s Education announcement is later today at the Guggenheim in New York City and we will be covering it live. We have so far heard that it is education related and Apple’s iWork lead Roger Rosner is involved in what seems to be textbook creation and distribution tools. Moreover, leading textbook publisher McGraw Hill will be involved, according to various reports. 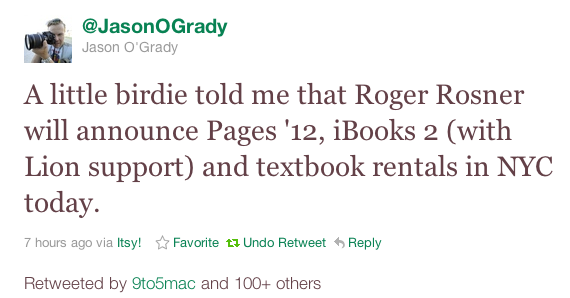 Long time Apple watcher Jason O’Grady from ZDNet said he heard that some software is on tap today including Pages ’12 with support for publishing to iBookStore, an iBooks 2 app that will also work on Macs with Lion and Textbook rentals. The event’s happenings are to be announced by Eddie Cue with help from Roger Rosner. All rumors seem plausible but uncertain. O’Grady treats these topics as speculation on ZDNet, so it is not certain how much weight he placed in the newest claim. Jobs had a much harsher view of the education “industry” in a 1996 interview, which we reported yesterday.